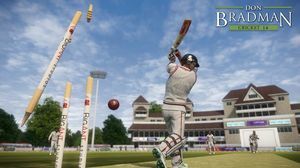 Cricket fans looking for a digital equivalent are hardly spoiled for choice, so the release of a new title is always welcome. Even so, few cricket games have distinguished themselves, so fans are right to be wary. Does Big Ant succeed where so many have failed? Ben Allan pads up. 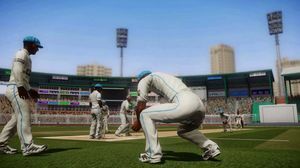 Cricket video games have traditionally proved hard to get right. The game, after all, is not just a simple matter of everyone getting together to collectively boot a ball towards a goal at the far end of a muddy field; batting is an entirely different activity to bowling, fielding is something else again, and putting all three together at once results in some fairly complex situations for a programmer to try and simulate. 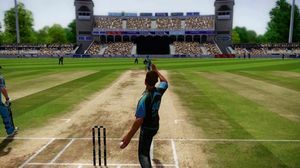 Little wonder, then, that many previous attempts have failed to excite much enthusiasm even among cricket fans – let alone the more casual gamer – and late last year the (brief) release of the infamous Ashes Cricket 2013 hilariously demonstrated exactly how pear-shaped things can go. 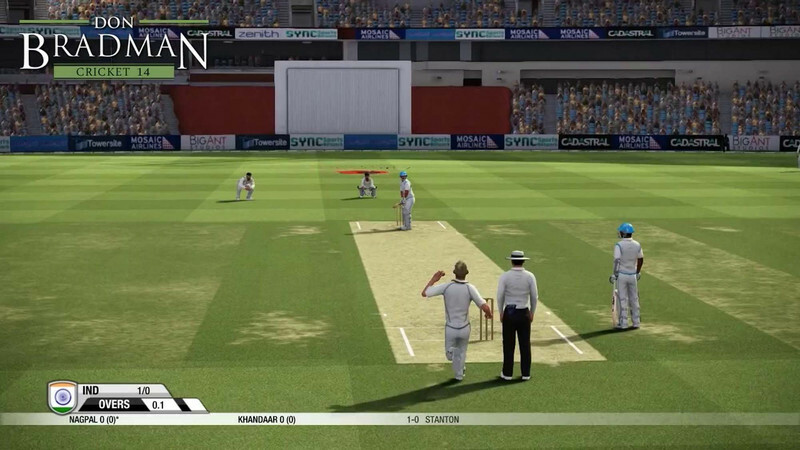 With this sort of a history, the arrival of a cricket game in early 2014 might have brought some trepidation (or indifference), but happily Australian studio Big Ant have played a solid knock with Don Bradman Cricket 14 – even if it’s not quite one where they’ve smashed it repeatedly out of the park a la Chris Gayle. Booting up with a simple menu and the smiling face of the Don himself, the game offers a wide range of options, with deep levels of customisation available and a large roster of teams from the modern era of international and first-class cricket. Historical sides and “all time great” selections are also available, all fully customisable down to the level of individual player body hair opacity levels. 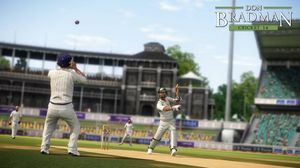 For what are presumably licensing reasons, the teams initially made available do not offer any actual current players – although cricket fans might notice certain similarities in first and last initials – but the game immediately offers the option to download the best “player-created” team information from the interwebs, which promptly replaces all of the stand-ins with reasonable facsimiles of the current and past-era players. If it’s a legal dodge of some kind (which seems likely, as the names of some of the “player-created” real-life players immediately start to show up in pre-recorded match commentary), it’s a welcome one, since striding out to bat with “Kahu Wikins” instead of Kane Williamson feels a bit silly. And although it may be a psychological difference, pace bowling simply feels faster when one has Mitchell Johnson’s moustache behind it. Before heading out to intimidate English batting line-ups however, players will want to head to an open wicket practise session or the (lovingly recreated) indoor nets, because mastering the game’s control system takes a little bit of perseverance. Batting is a matter of first deciding to play on the front foot or the back foot with an upwards or downwards press on the left stick, followed by choosing the intended direction of the batsman’s stroke with the right stick. This sounds simple, but there are many potential complications. The batsman plays an attacking ground stroke by default, but to go for the big aerial shot, the player needs to hold down the L2 button while moving the sticks, or to defend, the R2 button; left bumper cues up “unorthodox” shots like the sweep, reverse sweep, or scoop, while right bumper charges the batsman down the pitch. Much as in real cricket, there’s only the briefest of seconds to pick the nature of the incoming delivery before all this has to happen at once, although the game handily indicates short or full pitch with a colour-coded circle around the ball. In the midst of all the frantic sticking and buttoning though, it’s rather easy to thumb down on the right stick’s R3 button, which makes the batsman leave the ball. Before training themselves out of it, new players should expect to lose a few embarrassing and frustrating wickets to straight balls which the batsmen allow to pass unmolested on their way to the stumps. Making bowling actually fun to play has been a common problem for cricket games, but Don Bradman 14 does pretty well in this department. As a fast bowler the player first selects their length and delivery type (off cutters, in-swingers, etcetera) at the top of their mark, then waits for the bowler to run in and pushes down on the right stick to jump and then up to release the ball, all while using the left stick to control swing and the bumpers to bowl slower or quicker deliveries. Spinners forego the jump action for left-stick circling which puts more revolutions on the ball. It’s a system which is fun to try and get right, and it has the advantage of not telegraphing where on the pitch the ball is about to land, a dead giveaway for human batting opponents in many cricket games past. As the onscreen prompts for delivery type are not present in match situations though, there’s a lot of options to memorise before the player can consistently bowl the deliveries they want to. Players that put a little bit of time in will eventually have the complicated nature of both the batting and bowling controls mastered pretty well, but it’s tough going for any new or casual players keen for a game, who should probably be first directed to a solid session in front of the bowling machine if they want to avoid an utter spanking. Fielding is automated to a large extent, but the controlling player is in charge of throws, and catching the ball requires a right stick press towards the ball as it nears – which is a relatively simple matter in the outfield, but seems to make wicketkeeping catches tough and caught-and-bowleds a matter of sheer flukey reflex (although again, this is much like real cricket). Once the player is ready to step off the practice field, there’s a huge array of game options available, including online multiplayer. Cricket tragics can truly go to town with entire county seasons, the whole career of an individual player or full test match series of the past or future (and perhaps even just opt to run the game as a simulation), while the hit-and-giggle crowd might fire up the T20 world cup or a five-over-a-side game. Match variables such as weather, pitch conditions, and even lawn striping can all also be tweaked. 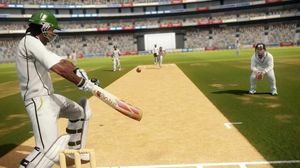 As well as introducing some of the batting innovations of modern cricket, the game also brings in the review system (just don’t tell the BCCI), allowing the player to challenge the fallible computer umpire if they think a sporting injustice has occurred. 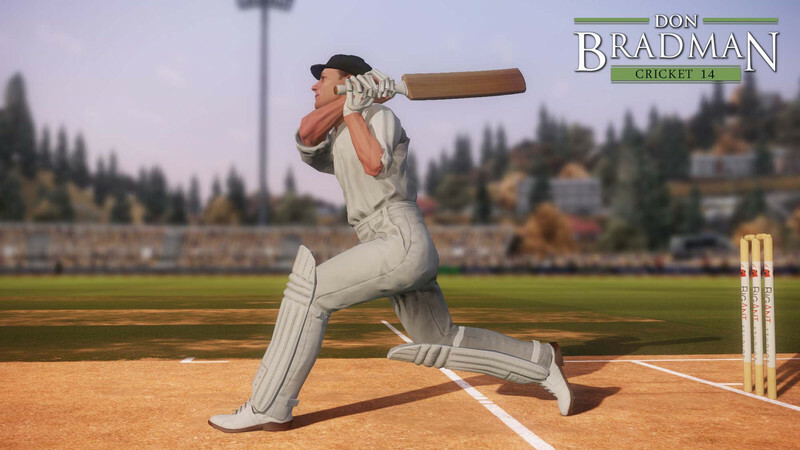 Despite all the attention to detail though, Don Bradman Cricket 14 can’t quite manage to overcome the seemingly impossible challenge for any cricket game: feeling quite like proper cricket. Fielders occasionally seem to collectively panic and run in comical circles, and take diving catches almost exclusively with a one-handed reverse-cup grip as if they were all showing off; batsmen think nothing of somehow hitting a throat-high bouncer back over the bowler’s head for six off the front foot, but have all kinds of difficulty judging and running a single to due tricky camera constraints and a proclivity for starting to walk before making their ground. 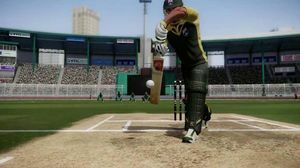 Commentary too features plenty of the amusing little glitches and weird writing that almost seem have become standard for cricket games. Shots stopped by the bowler on the pitch might be described as “a great save on the boundary”, the co-commentator is asked for his opinion on the new bowler and then immediately asked for it again, and phrases probably never uttered in the history of televised cricket such as “that was a great defensive block” are trotted out. Such amusements and non-sequiturs can almost add to the game’s entertainment value though, especially in the context of local multiplayer. Graphics are best described as functional, with the ground surroundings in particular a bit of a flat-sprite letdown. Only two real-world grounds are included, again presumably for licensing reasons. The batting and bowling animation is pleasingly cricket-like though, even if the fielders seem to have thrown away the MCC coaching manual. 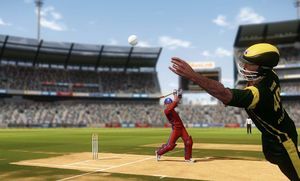 Don Bradman Cricket 14 seems likely to be the best cricket game that will emerge for this generation of consoles, and is probably up there with the best ever made – but cricket just seems to be tricky game material. It’s definitely worth checking out for those that are fans of the sport, but for all of its significant successes and positive qualities, if it’s looking to win new fans to the cricket game cause, its conversion rate will probably be about as good as Shane Watson’s. Ups Huge range of options with plenty of customisation and high attention to detail. Bowling and batting aspects both fun to play once mastered. 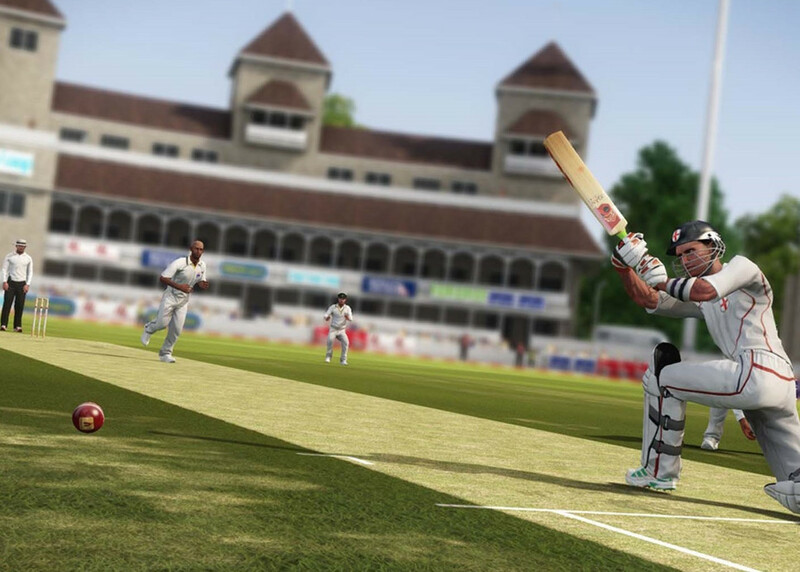 Brings cricket gaming into the modern era by incorporating recent developments in the sport. Downs Steep learning curve on control scheme makes casual play difficult. Glitches and lack of realism spell doom to any real sense of immersion. Graphically uninspired. A game offer you can't refuse.